For over forty years, AT have been making quality home linen, kitchen napery and accessories loved by people Australia wide. Their Australian-designed products are made with care and will look wonderful in your home. Well, now your child will have their very own unicorn to snuggle and cuddle whenever they please, with this Unicorn Earl Dolly. Crafted from polyester and suitable for all ages, this plush unicorn doll is an absolute pleasure for your child to feel against their skin and features a sparkling horn at the top of his head. 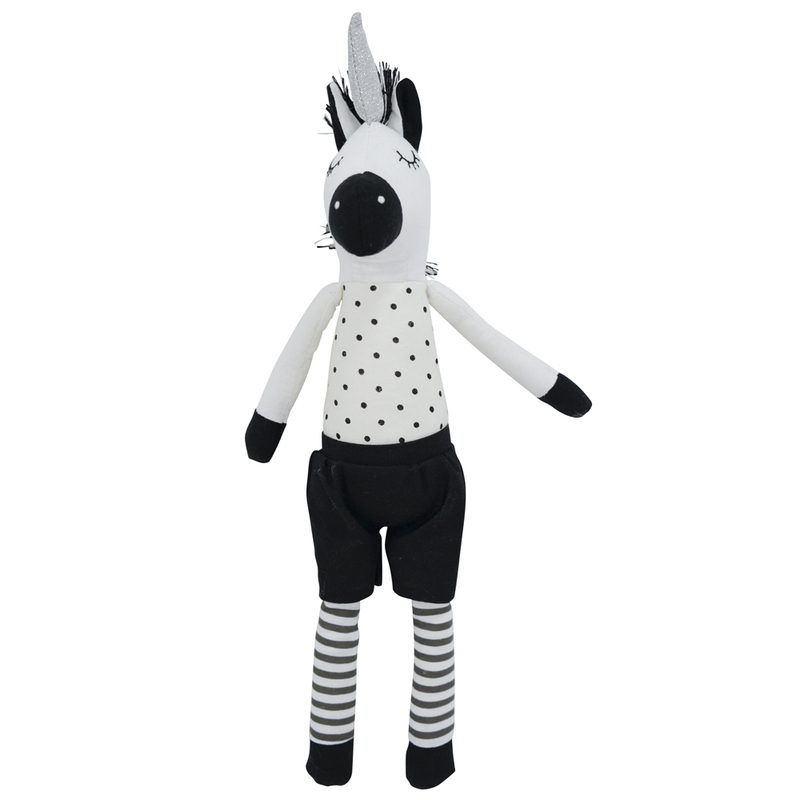 Wearing a dotted singlet and baggy shorts, the Unicorn Earl Dolly will provide your little one with hours of fun. Fluffy black and white mane.